Once again Burton Snowboards are running a series of ride days for girls only at the Victorian and NSW resorts. 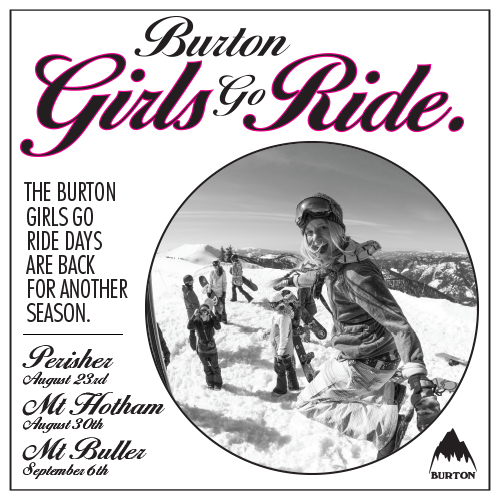 Burton presents: The 2nd annual Burton Girls Ride Days. A FREE, girls only riding event for all ages and abilities.